Albertsons Monopoly contest has begun again. People will be rushing to Albertsons-owned grocery and convenience stores in order to get their “free” game pieces. Obviously, you have to make a purchase to receive Monopoly game pieces in store, however, there are other alternative entries that you may be eligible for. AMOE, or Alternate Method of Entry will begin on February 6, 2019. The game pieces can be purchased in participating Albertsons®, Safeway®, Pavilions®, Carrs®, Vons®, Randalls®, Eagle®, Pak ‘n Save®, Tom Thumb®, ACME Markets®, Jewel-Osco®, Shaw’s Supermarkets®, Star Markets®, United Supermarkets®, Market Street®, Amigos®, United Express®, Albertsons Market®, Lucky® (Southern California only) and Super Saver® stores (“Market Stores”) nationwide. Interested customers must be at least 18 years of age and a legal U.S. resident to be eligible (All states are qualified except Florida). 1. No need to purchase tickets: Traditionally, all you have to do to be qualified for this Promotion, while game ticket supplies last, is make a purchase. This excludes lottery tickets, stamps, tobacco or alcohol products, or other products excluded by law, at any of the participating stores. A participant will receive bonus game tickets every time he/she purchases at any of the stores mentioned above. Online purchases are excluded. Bonus game tickets are available when the purchase of a participating product is made. See your local Albertsons-owned store for details. 2. Alternative entry method: You will receive one (1) Game Ticket and one (1) Bonus Game Ticket by sending a self-addressed, stamped envelope to MONOPOLY MON-09 Collect and Win Game Ticket Request, Attn: Promotions Coordinator, P.O. Box 965068, Marietta, GA 30066. Mail-in requests, including both outer envelope and SASE, must be handwritten and must be received no later than May 7, 2019. This is only available while ticket supplies last. Limit one request per envelope. Each request must be sent in a separate stamped envelopes with the information including the requestor’s first and last name, street address, city, state, and zip or postal code (name and address must match the return name and address on SASE) legibly handwritten in the upper left hand corner of the outer envelope. A separate MONOPOLY Collect and Win Employee Game will be held for Employees only. 3. To play: You must tear off the perforated portion to receive a special discount offer, online sweepstakes coupon code, instant prize grocery gift card, instant free product coupon or 2 free game ticket coupons. This comes with 4 game markers that can be used on the game board. You must moisten the glue strip on the back of the markers and the markers on the matching prize play area spaces on the game board. Do not glue or tape the game markers on the board permanently. 4. To win: The $1,000,000 Cash (30-year annuity) will be paid out in equal installments of $33,333.33 a year, with one initial payment and 29 additional annual payments with no interest accruing, or a single lump sum payment of $624,000 that will be awarded as a check. Everything else will be awarded as a check as well. 5. Ending of promotion: The scheduled end date for the game materials will be on May 7, 2019. Unclaimed Prizes will not be awarded. If you’ve been following Albertsons Monopoly for some time now, you know the grocer also offers second-chance drawings for its shoppers. You can enter your Monopoly codes online at www.shopplaywin.com for a second chance at winning the game. This seems like an extra step that most people don’t want to take. However, keep in mind, a woman won the $1 million cash prize by filing for her second-chance drawing. There have also been several other large prizes awarded through the second-chance option. 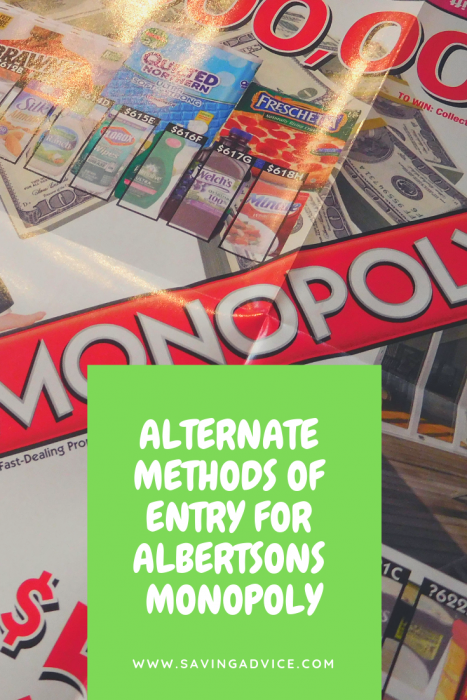 Readers, are you searching for an Albertsons Monopoly game piece? Visit the Saving Advice forums game piece trading thread. FREE Albertsons Monopoly Game Pieces – Claim Yours! Millions of people around the country are preparing to kick back and enjoy one of the biggest sporting events of the year – the Super Bowl. In some cases, Super Bowl parties are massive affairs involving dozens of partygoers, full food spreads, décor, and more. Whether your party is going to be big or small, finding ways to save money is always a wise move. If you need to host a great Super Bowl party on a budget, here are five tips to help you get started. Since food can be one of the largest expenses for any Super Bowl gathering, hosting the event as a potluck can help you stretch your budget. Plus, most partygoers will be happy to bring a dish, as it is a small thing to do to enjoy time with friends, family, and the big game. Now, if you want your potluck to go smoothly, you may either want to assign dishes or have people announce what they want to bring in advance. 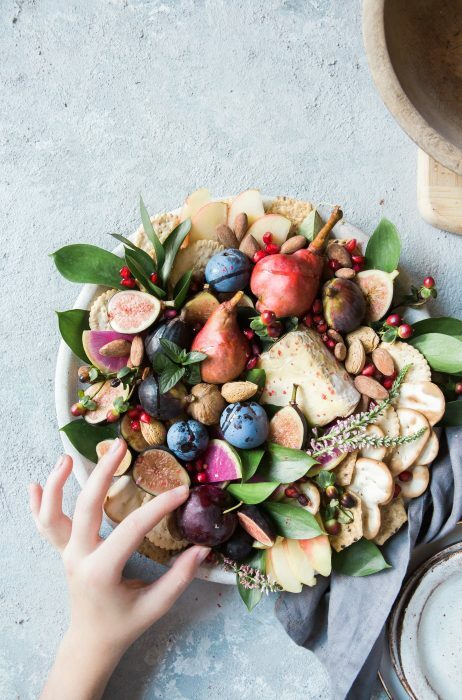 This can help ensure that you don’t end up with half-a-dozen veggie platters or every attendee just bringing chips, as you can intervene if there is not enough variety or keep all of the items aligned with a theme. Not only is a potluck cost-effective, but it can also reduce the amount of stress you experience. After all, not having to create every dish yourself is a huge weight off your shoulders. If you want to have a party with adult beverages, making your Super Bowl party BYOB (bring your own booze) may be your best option. Alcohol can great incredibly expensive, so requesting that everyone bring their own can be a gamechanger for your budget. Plus, you get the added bonus of not hearing any complaints about what kind of drinks are or are not available. You do not have to worry about anyone’s taste but your own, as they can bring what they want to drink. However, do make a few conveniences available. For example, make sure you have plenty of ice, cups, stir sticks, corkscrews, bottle openers, and similar items on-hand and highly accessible. If you have a cocktail shaker or other barware, consider making it available as well if you are okay with the items being used during a party. Additionally, clear out your fridge as much as possible or have a cooler filled with ice at the ready. That way, your guests can cool their drinks easily once they arrive. You may also want to give attendees a way to mark their drinks, such as a Sharpie, so they can identify which ones belong to them with greater ease. Instead of heading straight to the store, take a moment and see what you may already own. Go through your cupboards to see what food and drink items are there and plan your menu around what you’ve already bought. Then, check closets or storage areas for decorations you may have kept from other events or a previous Super Bowl party. Any time that you can use an item you already own is an opportunity to save money. Do not plan your shopping list until you take full stock of what you have on-hand. Otherwise, you might buy something you did not actually need. Certain foods are incredibly popular during the Super Bowl, so stores and manufacturers offer deals to entice you to buy specific options. Before you shop, take some time to review sales flyers and find coupons. Go through your mail, get the Sunday paper, or get online to see what may be available and then plan your purchase from there. Additionally, if you have a rewards club or other members at your supermarket, make sure to check for any unique deals that may be available. If you aren’t a member, then signing up may be wise, as it really can help you save all year-round. If you are hosting a large party, sometimes opting for delivery or takeout is actually a smart choice. Many pizza places and similar restaurants that offer takeout or delivery may run specials in conjunction with the big game, so you could actually score a pretty great deal if you compare your options. Plus, by going with delivery or takeout, you do not have to dedicate any time to cooking. Instead, you can spend time with friends and family or handle other tasks you need to finish. Just make sure that, before you order, you get a fairly accurate headcount. That way, you can estimate how much food you will need so you can find a deal that best suits your needs. Otherwise, if you order too much food, not only are you spending more than you needed to, but the leftovers may go to waste if you can’t finish them in a timely manner. If you didn’t order enough, you would risk needing to make an emergency food run during the game or disappointing your guests, both of which are not ideal. 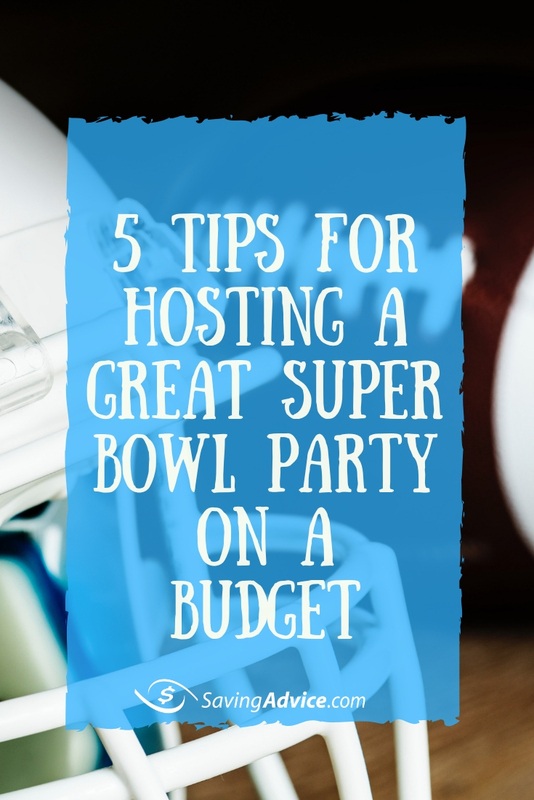 Ultimately, all of the five tips above can help you host a great Super Bowl party on a budget. Consider giving one, a few, or all of them a try and see which options are best for you. Do you have any tips for hosting an amazing Super Bowl party on a budget? Share them in the comments below. Sam’s Club strives for customer satisfaction, especially since it’s competing with Costco. Low prices, special membership benefits, and easily accessible store hours all contribute to its popularity. There are very few days throughout the year when Sam’s Club closes. And, on some holidays the warehouse remains open, but with reduced hours. Before you head out to shop, make sure you check here first for Sam’s Club holiday hours and schedule. Download a free, printable Sam’s Club holiday schedule here. During normal, non-holiday hours, Sam’s Club is open Monday through Friday from 7:00 am until 10:00 am exclusively for its Plus members. 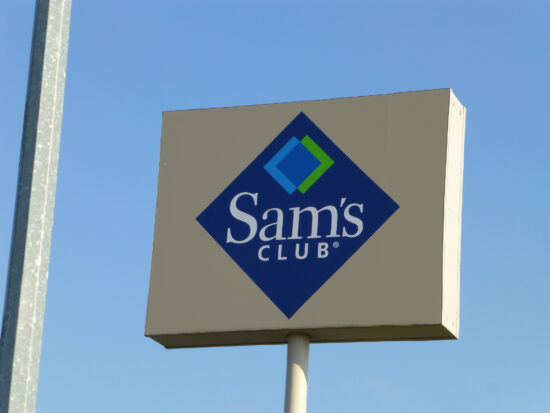 Regular Sam’s Club hours are Monday through Friday from 10:00 am until 8:30 pm for all members. On Saturdays, Plus members can shop early from 7:00 am to 9:00 am. Sam’s Club is open to all members on Saturdays from 9:00 am until 8:30 pm. On Sundays, the hours are 10:00 am through 6:00 pm for all members. Any way you define it, duct tape is a pretty amazing invention. 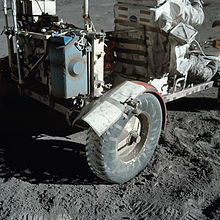 In fact, duct tape is so amazing that its used on nearly every NASA mission. However, you don’t have to be a NASA rocket scientist to know that having something handy like duct tape around the house can help you save money. Here are twenty money saving duct tape uses. Just tape a copy of your car key to the underside of your car with duct tape. As long as you get a good seal with the tape, you’ll never get locked out of your car again. No need for a key magnet box. Total savings $4-6. No need to spring for flypaper, just go ahead and attach a few foot long strips of duct tape to the rafters or ceiling of where you are staying. The stickyness on the tape will act like flypaper and you’ll be rid of the bugs in no time flat. You can also just roll up the tape and toss it in trash when you are done. No need to for messy clean up. Total savings: $5 – $8. Cheap shower curtains are prone to ripping, especially at the eyelet where shower curtain hooks attach to the curtain. Instead of getting a new curtain or dealing with expensive repair kids, just make repairs with your duct tape. Once the curtain is dry, cut a rectangular piece of duct tape and fold it front to back over the torn hole. Cut a hole in the tape with a razor blade or scissors and push the ring back in place. Your curtain should work just fine. Don’t buy shower curtain saver – total savings: $6 – $7. Hoses on vacuum cleaners can be prone to fatigue and cracking. If the hose has developed a leak the suction in the cleaner can be less effective. Wrap a bit of tape around the rip or crack. Your hose should last until the rest of the vacuum hardware gives out. Don’t get a new hose. Total savings: $25. If you’re getting prepped to go to a meeting or out for the evening and you see pet hairs or lint on your clothing, just cut a bit of tape and wrap it around your hand sticky side out. Roll the tap against your clothing with the rocking motion until you’ve got all the hair or lint. Don’t wipe your clothing, that could impact the fabric. No need for a lint roller. Total savings: $5. There are a number of children’s toys that you can make using duct tape. One favorite is a toy sword for those junior pirates you’ve got around the house. Just sketch a kid sized sword on a piece of cardboard. Use two pieces if you don’t have one that’s thick enough. Be sure the sword size is small enough so that your child’s hand can fit comfortable around it once it jhas been increased in thickness by several layers of tape. Then cut out the sword and wrap up the blade area a layer or two of silver duct tape. Wrap the handle in black tape. You can also make armor, helmets or other fun costumes this way. Along these lines a favorite is a tin man costume made out of cardboard & duct tape for Halloween. Don’t buy expensive kids play swords or costumes. Total savings: $5 – $50. Plastic trash cans often split or crack along joints. Instead of tossing out the can with the rest of the trash, repair the crack with duct tape. Typically duct tape is strong enough to withstand the abuse that plastic trash cans can take. If you apply it carefully, the tape should also have no problems adhering to curved or ridged surfaces. Put tape over both the inside and the outside of the can. Don’t buy a new trash can, instead repair the old one! Total savings: $5 – $200. To keep the legs of your furniture from scratching the flooring, put some tape on the bottom of each legs. This will help your floors from getting marred. This is especially important if you have soft hardwood floors and heavy metal furniture, such as a cafe table. Don’t buy special scratch pads. Total savings: $2 – $14. Of all the duct tape uses out there, avid grillers know that sometimes mice and other animals can chew on rubber. One target of those pesky creatures is the rubber hose which connects the gas grill to the propane tank. You can protect this hose by wrapping it in duct tape. Prevent yourself from needing to buy a new connecting hose. Total savings: $13 – $56. Doesn’t it just drive you up a wall when you have a remote control where the back panel covering the battery compartment seems to keep coming off? Just put a little strip of duct tape on there to keep it from coming off and you’re set. No need to buy a new remote. Total savings: $3 – $50. Instead of heading out to the store to purchase tags for your gifts, just grab a bit of duct tape and make the tags yourself. Duct tape is great at holding ink, so just use a sharpie to mark who the gift is for and who it is from. Total savings: $3 – $20. This idea is for you readers/collectors out there. If you are reading a favorite book and don’t want to bother with getting a fancy bookmark, just grab a piece of duct tape, and fold it in half sticky side in. Viola, you’ve got a handy book mark. Don’t bother with fancy monogrammed paper or jazzy plastic clips. Total savings: $3 – $34. This is a pretty commonly discussed use for duct tape. When your ski gloves wear out, and they typically do at seams, put some tape over the tear so that it doesn’t get worse. This should prolong the life of the gloves. You can also use colored tape to match the color of the glove so the repair doesn’t look low rent. Don’t buy new gloves. Total savings: $13 – $110. If you own a home, check your ducts and tape off any open seams. A lot of heat ends up wasted in basements or crawl spaces where it is not needed. Don’t pay for the waste. Instead, be sure your ducts are sealed tightly. Total savings: 2-5% off your monthly energy bills. Car parts retail at an extremely high mark up over manufacturer’s cost. If have a situation where the glass in a headlight or tail light becomes separate from the light assembly, simply run some tape around the top edge of the assembly with most of it under the hood edge, it should fix the problem just fine. Don’t get a new light. Total savings: $128. Some riders, such as competitive mountain bikers can be extremely hard on their bike tires. Inner tubes are likely to give out or tires can get ripped or torn. Don’t get a tire repair kit. Instead, repair the damage using some duct tape. Total savings: $6 – $7. You’ve found a terrific pair of jeans, but the length isn’t right. You expect a little shrinkage anyway, so why drop 20 dollars to have a tailor hem your pants? Besides, thick denim jeans are difficult to sew through. Consider taking up the hem with duct tape. The new hem will work in a pinch and should hold through a couple of washings. Total savings: $20. In older houses, windows don’t always close well, especially at the bottom of the frame. If you don’t have any weather stripping handy, consider using duct tape to create filler to block up any cracks. This will keep insects or other vermin from getting in your home and will block out any drafty wind. Total savings $3-18 plus utility bill savings. Some children or toddlers prefer to take off their diapers when they should not. This typically leads to more time spent cleaning up baby messes and higher costs for diapers, wipes and cleaning supplies. One way around this is to wrap a strip of duct tape around the child’s diaper to hold it firmly in place. The tape is tough enough so that your child can’t tear the diaper off when you aren’t around. Total savings: lots of headaches. Want to catch roaches, but don’t want to spray your home with noxious chemicals? Just get a 4 inch strip of duct tape, fold the edges over by about a half inch on both rip ends. Pinch the ends so the tape is slightly creased. Get some peanut butter and put it in center. Don’t use too much. Then flip it over so that the sticky part is facing down. Smaller German cockroaches will go for the peanut butter and their backs will get stuck to the tape. If you want to catch the bigger ones, just lay out a trap with the sticky side up. Don’t buy roach traps or hire an exterminator. Total savings: $12 – $150. Bonus: three questions about duct tape. Can duct tape be used for removing warts? According to the manufacturer, 3M corporation, as of 2005 duct tape has not been scientifically tested for removing warts. Can duct tape be used to secure the duct from an household dryer to outdoors? No, dryer temperatures may exceed 200F, which is beyond the maximum temperature the duct tape can withstand. Is duct tape waterproof? The backing of the tape is waterproof, however the adhesive is not. Duct tape will hold up in water for a while, however the adhesive will eventually give out so it is not a good fix when long term water immersion is involved (source: Readers’ Digest). Finally, if you are going to buy duct tape, consider buying in bulk. Rolls of 3M utility duct tape get progressively cheaper as you buy more. For example on amazon.com the two pack retails for $20.29 or $10.15 a roll . The three pack retails for $28.49 or $9.50 a roll . If you are going to shop from Amazon, try getting used . Used rolls tend to be a couple of bucks cheaper because the packaging has been damaged. If you like this posting, please don’t hesitate to rate it or share it on social media. 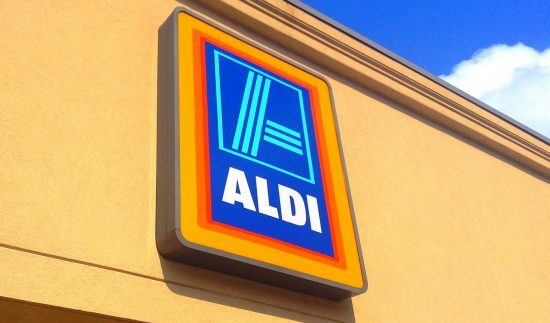 Are you planning a grocery shopping trip to Aldi? Make sure it’s open first. Check here for everything you should know about shopping at this popular grocery store as well as the Aldi holiday schedule and hours before heading out. Aldi is a grocery store known for amazing everyday prices. Smart shoppers who rely on Aldi can save a bundle, with some reporting cost reductions of up to 42 percent. Aldi offers great prices by using a non-standard business model. Not only do you have to insert a quarter to get a cart (though you get it back once you return it), but you’ll also need to bring your own bags. Plus, Aldi stores aren’t open 24/7, so you need to make sure your local store is open before making a trip. Originally a German store, Aldi has made its way into numerous countries. Along with the United States, you can also find Aldi stores in Great Britain, Belgium, Denmark, the Netherlands, Poland, Spain, and Portugal. Additionally, many people don’t realize that Aldi is actually run by the same company as Trader Joe’s. Most Aldi store hours are similar to the standard hours of operation with other grocery store chains. While each location may vary their schedule, the typical hours for opening and closing serve as a good baseline for planning purposes. If you are near an Aldi in a big city, you may find that they are open longer each day. However, some small-town Aldi stores open later and close earlier. For example, a small town location may operate from 9:00 am to 9:00 pm instead of 8:00 am to 10:00 pm. On any days where Aldi has limited hours, you’ll need to check your local store to confirm when they are open. You can use Aldi’s store locator to check each location’s hours of operation or contact your store by phone and request the information. Many grocery stores deviate from their usual operating hours around Christmas and Aldi is no different. On Christmas Eve, many Aldi locations close early, giving their staff a chance to be home with their families. If you need to shop at Aldi on Tuesday, December 24, 2019, make sure to check with your local store before you make a trip. Each location may have slightly different holiday hours on Christmas Eve, so it is wise to contact your Aldi and confirm they will be open. On Christmas Day, Wednesday, December 25, 2019, all Aldi stores are closed. You cannot shop at any Aldi on Christmas Day, regardless of whether you are in a big city or small town. If you’ve never been to an Aldi before, but want to experience the cost-savings to make the holidays more affordable, you do need to prepare in advance. Along with a shopping list, you’ll need to have a quarter with you. The shopping carts at Aldi need a quarter to unlock them, making them movable. When you return the cart at the end of your trip, you get your quarter back. The quarter is actually a way that Aldi controls some of their overhead costs, even though they don’t keep the quarters. Getting the coin back encourages shoppers to put away their carts. This ensures that employees don’t have to retrieve the carts, allowing Aldi to keep their staffing costs down and to pass the savings on to shoppers. Additionally, it is usually best to bring your own reusable shopping bags. Aldi does not provide bags or boxes to carry your purchases for free. If you do not bring your own, you’ll have to pay for bags at Aldi. Again, this helps each store keep its operating expenses low, giving the ability to offer big savings to you. The Aldi mobile app is also handy. Not only can you use it to find your closest store, check hours of operation, and a place to make and store a shopping list, it also makes viewing the weekly sales flyer a breeze. You can see it all in the app, ensuring you don’t miss out on a great deal when you shop. Do you shop at Aldi? Share your experience in the comments below. Thirty-eight percent of individuals who made resolutions for 2019 resolved to lose weight or exercise more. If you are one of the millions of people trying to get healthier, there is a $60 billion diet industry you should know about. Plus, here are the diets that work, according to the experts. Americans spend more than $60 billion trying to lose weight or get healthy each year. Considering there are around 75 million Americans trying to lose weight, that means each individual is spending at least $800 per year. About $3 billion of that is spent on losing weight annually goes to companies like Weight Watchers and other paid weight loss programs. Another $3 billion is spent on weight loss supplements and diet pills. Home delivery services (like Nutrisystem) account for another $1 billion. If you’re putting serious cash into getting healthier, you probably want a definitive answer on diets that work. Over the years it has fluctuated. Is a low carb diet ideal? How does it stack up against a low-fat diet? The five plans listed below are said to work for long-term weight loss. Those who follow the best diet plans each year know that the Mediterranean diet was ranked number one last year as well. It is an oil-rich diet and focuses on fresh veggies, whole grains, and healthy fats. Additionally, it encourages dieters to reduce sugar, red meat, dairy, and processed foods. The Mediterranean diet has been known to help lower the risk of heart disease, high blood pressure, type 2 diabetes, and some cancer. DASH stands for Dietary Approaches to Stop Hypertension. So, it is no surprise many people looking to lower their blood pressure adopt this diet. The DASH diet involves reducing the amount of salt in your day-to-day eating. It also encourages you to eat foods that are full of heart-healthy minerals (calcium, potassium, magnesium). Like the Mediterranean diet, it also limits the amount of sugar and red meat you consume. This diet is “new” to the list. Many people try to go vegetarian to better their health. However, giving up meat altogether is unthinkable for some. That’s where the Flexitarian diet comes in. This essentially limits the amount you eat meat each week to once or twice. The rest of the time, you follow a vegetarian diet. Doing this has been proven to reduce the risk of heart disease, type 2 diabetes, and some types of cancer. As you may have guessed by its name, the MIND diet is focused on improving brain health through the food you put into your body. MIND stands for Mediterranean-DASH Intervention for Neurodegenerative Delay. People following this diet are encouraged to eat three servings of whole grains, a salad, another form of vegetable, and a glass of wine each day. While it has not yet been determined whether or not a diet can really improve your brain health, the diet certainly changes people’s mindset when it comes to food. Weight Watchers, now known as WW, has been around for years and it continues to lead people to succeed with their weight loss goals. In fact, it is number one in the country as far as commercial diets are concerned. If you’re not familiar with the program, it places a point value on foods based on the calories, sugar, fat, and protein content. You are given a certain number of points to stick to each day and you keep a food diary to track them. If you’re looking for a goal-specific diet, these are how each is ranked, according to US News. See a full list of the best diets here. While $60 billion seems like a lot, it pales in comparison to the $300 billion fast food industry. However, everyone could save a bit of cash and stay away from fad diets. Instead, stick to these diets that work or consult a health professional to find something that works for you. Readers, did you resolve to get healthy in the new year? The All-Cash Diet – Are You Up to the Challenge?